Why become a Technical Official? Candidates must achieve competencies in all 4 disciplines (scorer1, scorer 2, timekeeper 1, and timekeeper 2) at local league level before progressing to national and international events. What skills do I need to become a Bench Official? A pleasant, cooperative and efficient manner. Good concentration and focus during match time. Clear and consistent handwriting with legible figures, writing and symbols. Mathematic skills for accurate calculation. 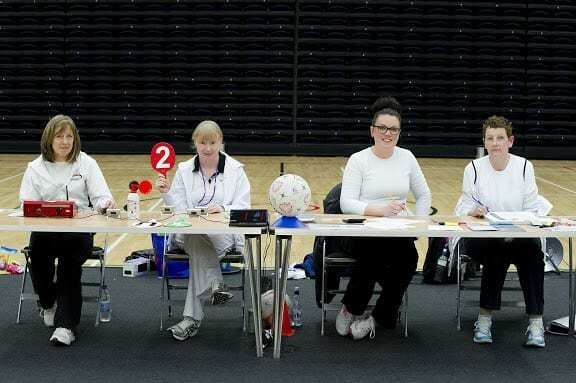 The opportunities for Bench Officials are a formal recognition of the important volunteer role of officiating and many had the chance to officiate at the World Youth Netball Championships and some Bench Officials have been lucky enough to be appointed to Commonwealth Games 2014 in Glasgow. Statistics are an enjoyable part of the game and offers a rewarding role while providing a ‘story’ about the match to coaches,spectators and media. A high degree of accuracy is required to ensure that a high standard of results are captured. Where it is unrealistic to capture all statistics from the match, we hope to capture those most relevant and appropriate to our sport to benefit the coach and players and to inform the spectators and media. What qualities do I need to be a Statistician? How do I become an accredited statistician? Candidates must achieve competencies in both disciplines (Caller and Inputter) at local league level before progressing to national and international events. The statistics programme will involve a new national accreditation award for trained volunteers. This is another positive step to benefit and improve our sport and enhance the skills of the committed team of volunteers in Scotland. Want to be involved at elite level sport and competition? Want to have the best seat in the house? Why not become a Technical Official? This role requires a good attention to detail and a high level of concentration. If you think you meet this criteria apply now!! 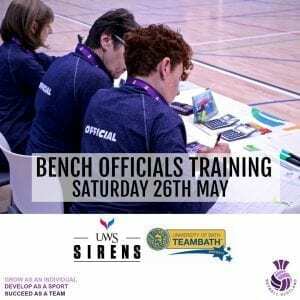 Saturday 9th March: a 1 Day Course (9:30am-12pm) followed by match practice which will include game time do shadow as well as an opportunity to sit on a training bench during the Strathclyde Sirens v benecosMavericks game. Click here to book your place.